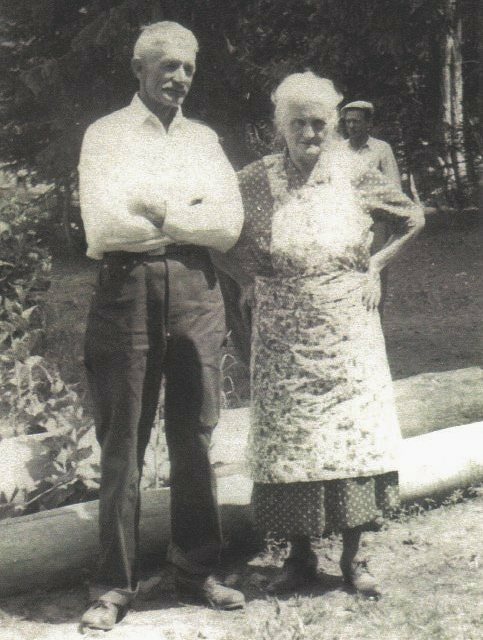 David & Martha Clapier lived on 2nd St. many years, extending from 1890-1951; photo courtesy Connie Clapier. After her husband Frank Bertinoti died unexpectedly in 1891, Martha Combe Bertinoti remarried to Jean David Clapier (1870-1939) who immigrated from Peidmont Italy in 1890. 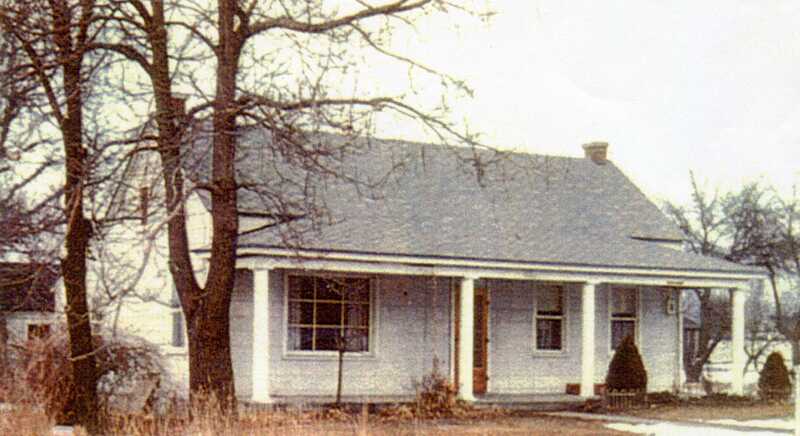 Martha and David lived in a cabin like house on the lane to Harrisville for 32 years; the address in the City Directory was listed as “rear north of 150 West 2nd Street”. David was a farmer and a musician; for many years he was associated with Foster’s Military Band and with the Nichols Band. David and Martha helped David’s parents immigrate from Italy, and they built another little house on the lane to Harrisville for them. In 1923 David and Martha bought the pioneer John Hutchens house at 230 West 2nd Street. David lived 49 years on West 2nd Street and Martha 63. They died in 1939 and 1951 respectively. David and Martha Clapier House;demolished 2000. Arch & Donna Clapier on date at Salt Air; photo courtesy Connie Clapier. 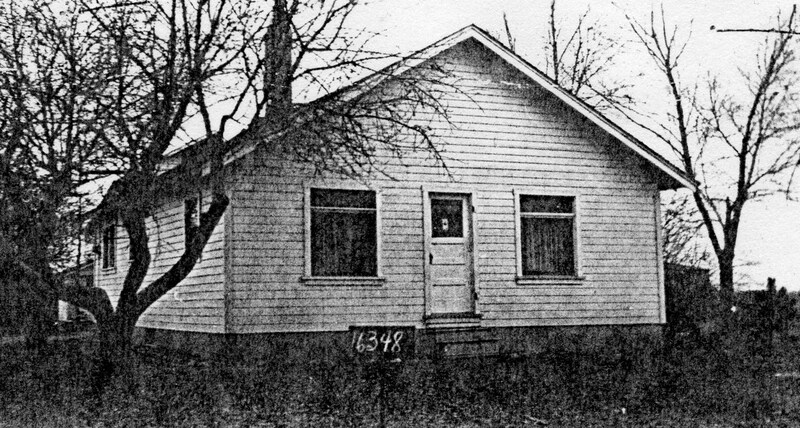 In 1934 David and Martha’s son, Archimede Clapier (1902-1993), tore down his grandparents’ house and built the house on the lane that is there now at today’s address of 155 W. North Street. Arch planted apple trees all around the house and had his father-in-law, Hyrum Gardner, build a large barn for his Ayrshire cattle. 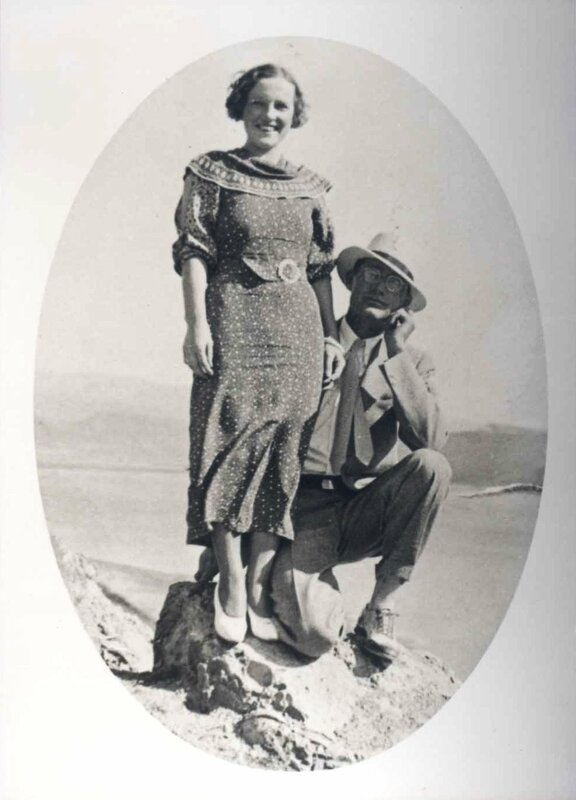 Arch’s first wife, Lida Gardner, died at a young age; his second wife, Donna, described the community as “a close neighborhood”. When World War 11 came much of the Clapier farmland was taken for Wall Avenue and some for the Supply Depot; Arch and family moved to Marsing, Idaho to farm. 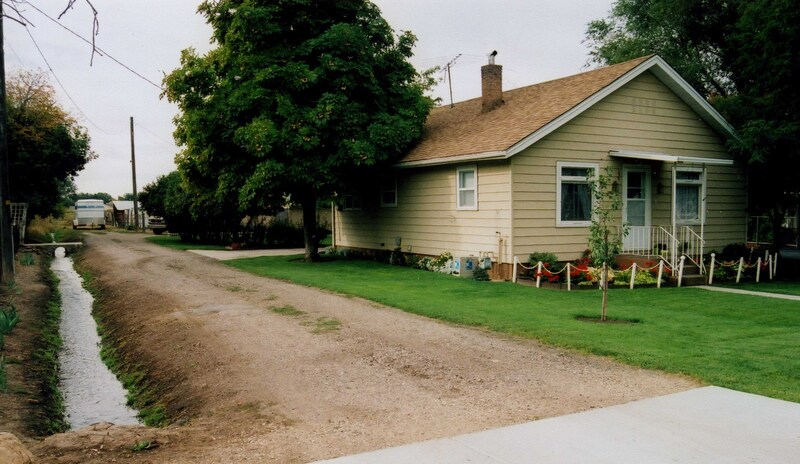 YESTERDAY: Arch and Donna Clapier house built 1934; the old lane from 2nd Street is to the left and by the lane runs the old north branch of the lower Lynne Ditch; photo Weber County Recorders Office. 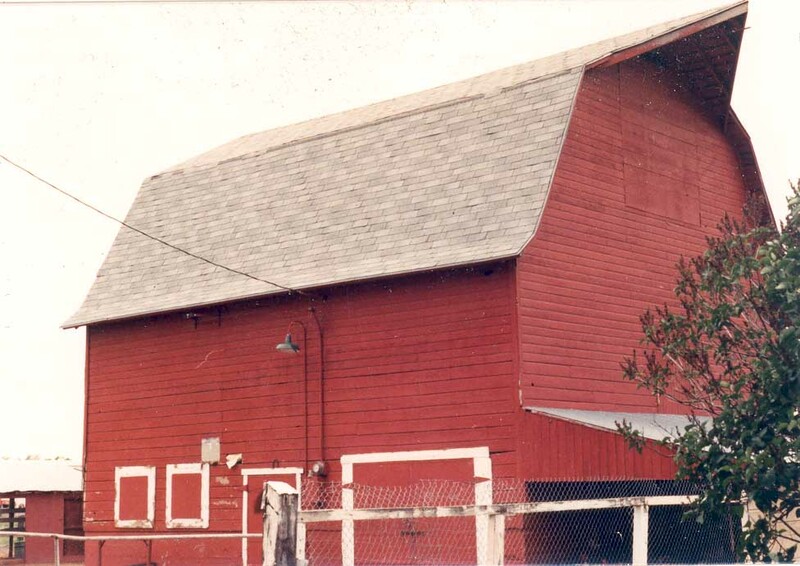 YESTERDAY: Arch Clapier barn; photo c. 1980, courtesy Connie Clapier. TODAY: Arch and Donna Clapier house and barn at today’s address 155 W. North Street next to N. branch of Lower Lynne Ditch and the old lane to Harrisville that was used until Wall Ave. was built. 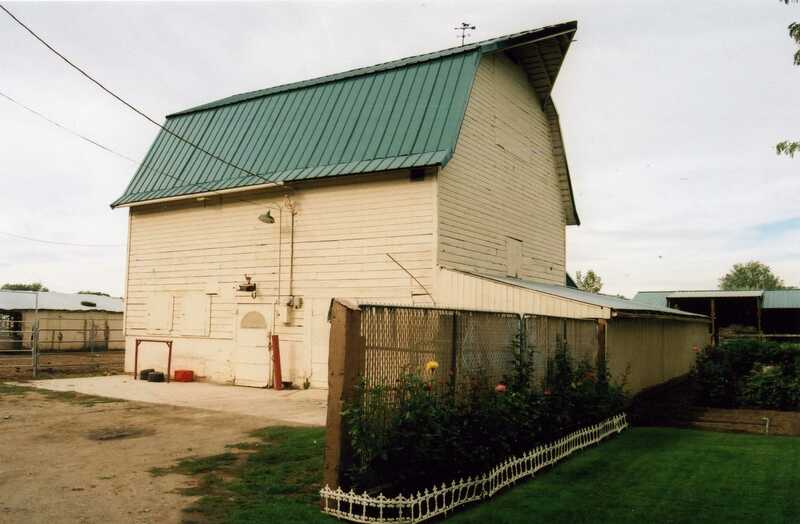 TODAY: Clapier heritage barn built by Hyrum Gardner is to the rear of the house; photo 2007. Ogden City Directory, 1911 1920; letter Donna Clapier, July 20, 1999, Marsing Idaho. Letter Donna Clapier, Marsing Idaho, February 3, 1999; statement Gene Clapier, Aug. 4, 2010.